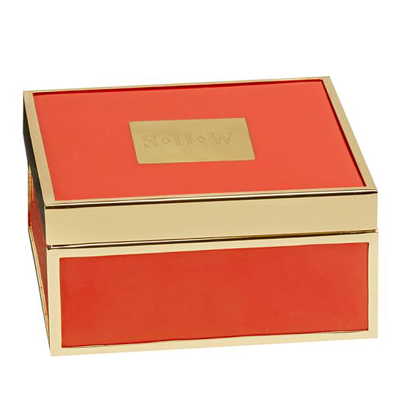 Simple yet striking, this orange Kinsey Enamel Jewelry Box adds brilliant color to surfaces, and keep everything from small treasures to desk supplies stylishly stored. $39. Free shipping. Buy here.